The essential components for any institution seeking to deliver quality higher education outcomes are accreditation (gaining and maintaining regulatory approval), good governance (both academic and corporate) and a quality assurance framework within which the institution commits to operate. The Higher Education Leadership Institute (HELI) provides expert advisory services to institutions involved in the provision of higher education, both in Australia and internationally. As an approved higher education provider (HEP) in our own right, we have a unique insight into what makes a successful HEP, both in regards to initial approval and ongoing regulatory health. All educational institutions that deliver higher education courses are required to meet the requirements set down by the relevant legislation governing the registration of higher education providers and accreditation of their courses. Does your institution have in place a framework for good corporate, academic, operational, administrative and financial governance? Does your institution have access to teaching staff with the necessary skills and qualifications who can deliver the desired academic outcomes and are active in scholarship? Do you have the appropriate infrastructure (both physical and virtual) to deliver quality academic outcomes? Do your courses address a coherent body of knowledge? Is the curriculum of a standard consistent with similar courses delivered by other higher education providers? Does the course align with applicable regulatory and professional accreditation frameworks? Do you have a quality assurance framework to guide, monitor and measure your institution's activities, both operational and academic? Do you understand the process to achieve and maintain regulatory approvals? 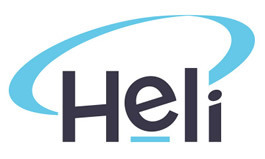 How can HELI help you? Want to know more? Talk to us about achieving your higher education regulatory goals.